"By filling one's head instead of one's pocket, one cannot be robbed." 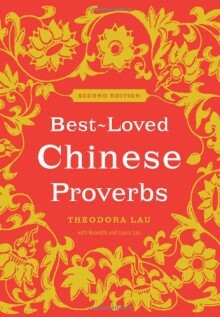 The appeal of Chinese proverbs is profound and universal. With brevity, clarity, and simplicity, these carefully chosen words help pass wisdom and insight throughout the ages. This timeless, eloquent collection of proverbs offers fundamental truths about the natural world and the human condition, on subjects such as: Ability • Adversity • Beauty • Character • Conflict Cooperation • Deception • Defeat • Fortune • Greed • Happiness Honor • Inspiration • Knowledge • Leadership • Love Moderation • Necessity • Neighbors • Obstinacy • Opportunity Perseverance • Pride • Sincerity • Strategy • Success Thought • Trust • Victory • Wisdom • And More "With our thoughts we must build our world."